Posted November 10th, 2016 by magnifycreativeadmin & filed under . 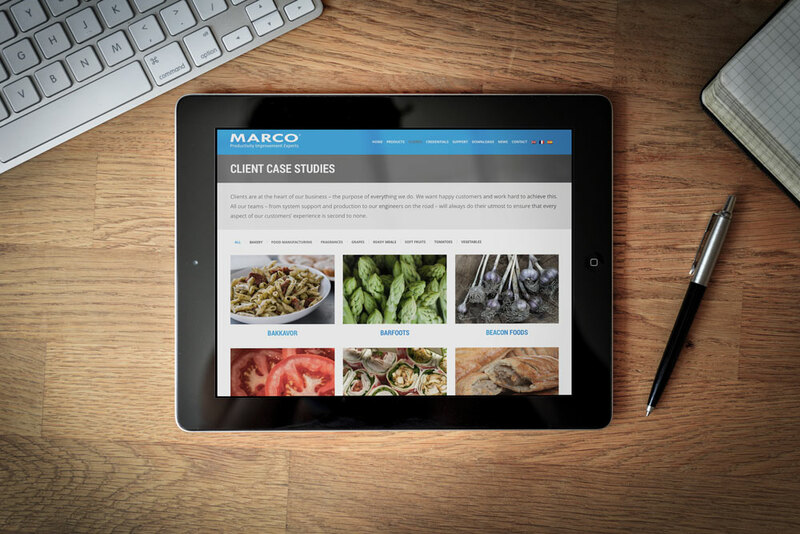 We first met Marco in their impressive boardroom to discuss their needs for a new WordPress website. 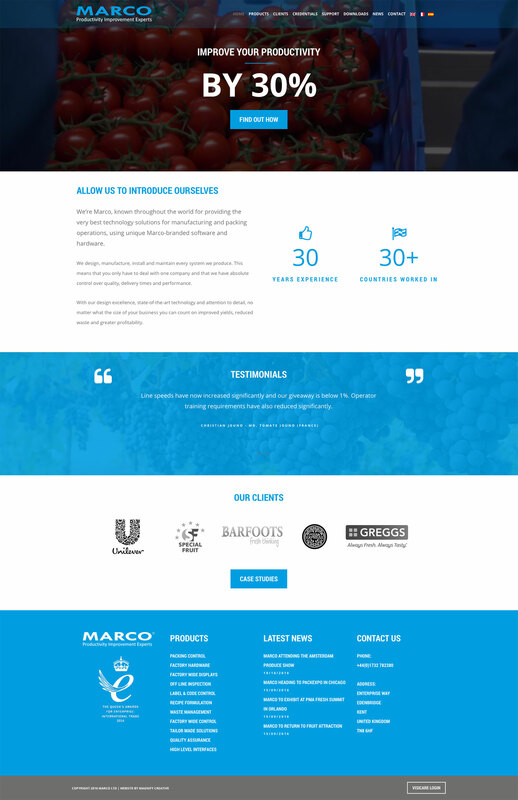 They had some frustrations with their old website and wanted a fresh start with a design and user interface that matched their strong company branding. As a well established manufacturing hardware and software provider, it was important that the new website showcased their expertise and unique solutions to companies around the world. We built the new website from the ground up to offer a cutting edge user experience. The page loading time is extremely fast, even with the use of full-bleed video and image content. The website is completely multi-lingual and users can switch between English, French and Spanish content. We worked with their marketing team to implement a form gating solution which allows leads to be captured when potential clients download the available free resources. The feedback so far has been very positive and we look forward to continuing to work with Marco.